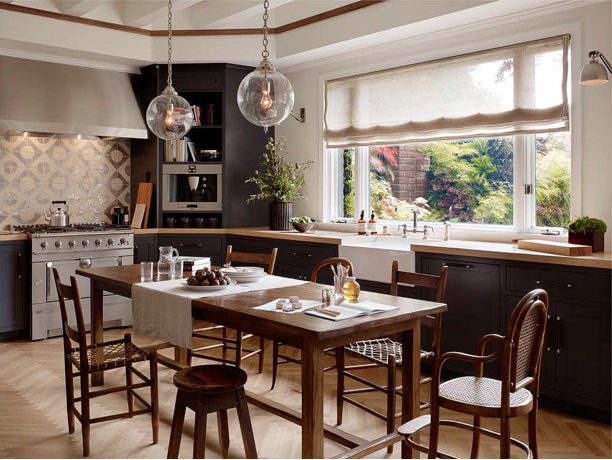 For those of you looking for a timeless, inspiring kitchen on every level, check out this dreamy space. 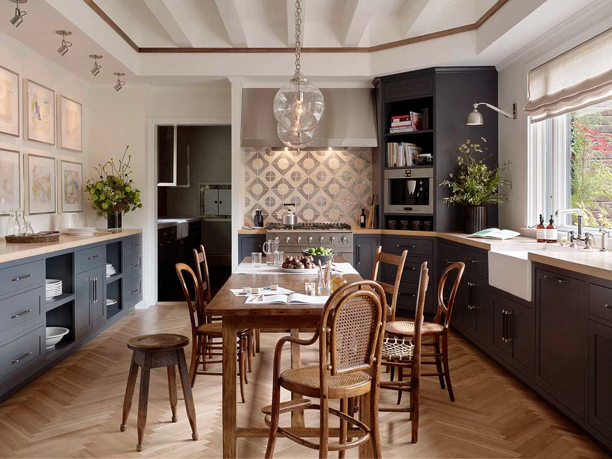 Loving the herringbone floor pattern mixed with that amazing tile! 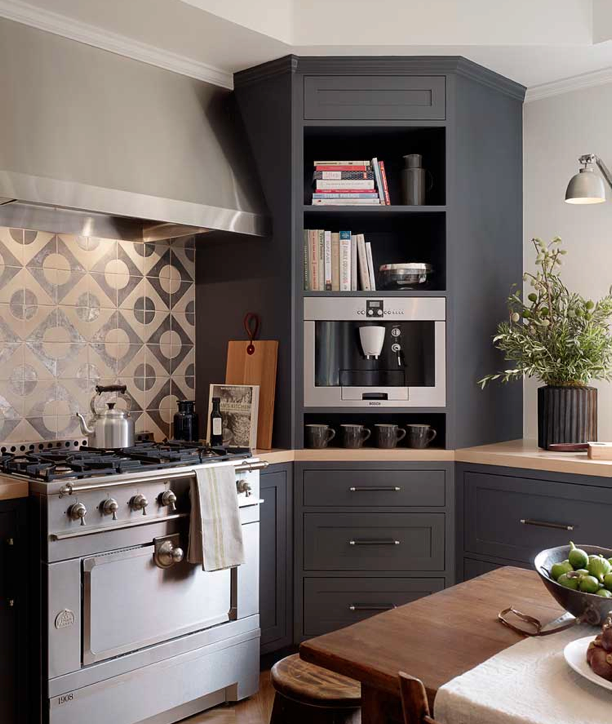 Everything else is clean and timeless while being grounded by the gorgeous bold cabinetry! Hoping you're having an enjoyable week! 0 Response to "An Inspiring Kitchen..."